Ah, merlot, you much-maligned grape. Once on the tip of every suburban housewife's tongue, only to be taken down by the rantings of a fictional movie character. The world can be a cruel place indeed. But in the immortal words of Big Head Todd and the Monsters, "Rise and fall turn the wheel 'cause all life Is really just a circle." When Sideways simultaneously catapulted pinot noir's popularity and sullied merlot's reputation, the long term impact seemed bleak. It's taken much of the thirteen years since the movie's release, but things are coming full circle. Today, most commonly available California point noirs are like the character who celebrated pinot's transcendentalism: overblown, raging, hot messes. On the flip side, the intervening years have unceremoniously weeded most of the crappy merlot out of the market, increasing overall quality. For some years now I've commented that merlot is a largely overlooked wine undeserving of such a long, bad rap. But until that becomes common knowledge, it's a boon for the open-minded consumer. Case in point is the sample of Markham merlot sent (along with a cake!) 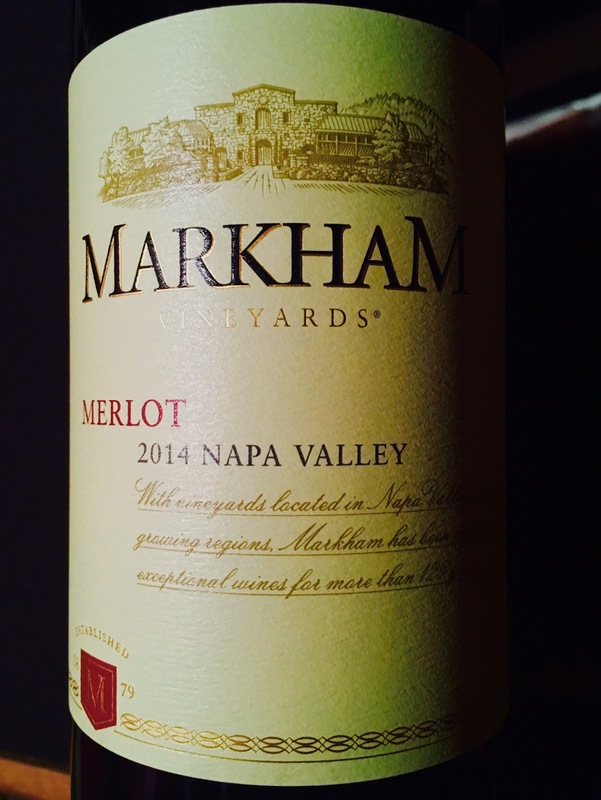 to commemorate Markham's 35th vintage of merlot. With enough tannic energy and proud fruit to satisfy even the most staunch of cabernet drinkers, this merlot proves a versatile, pleasing drink. Characteristically Californian, but without being overbearing, the flavor profile in this wine is a pleasing combination of black, blue, and deep red fruits framed nicely by moderate toasted oak, and finishing long with superfine tannins. Would go well with anything from poultry to Moroccan cuisine. A real value for a Napa bottling.